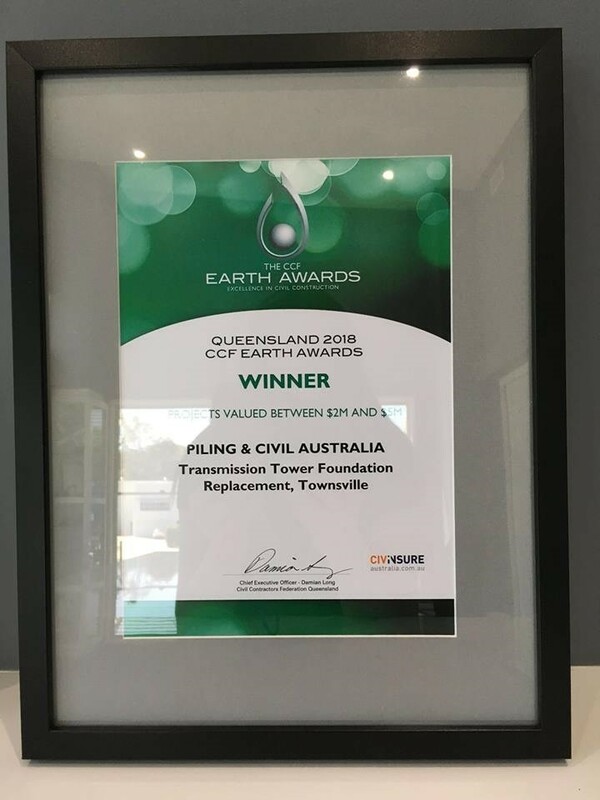 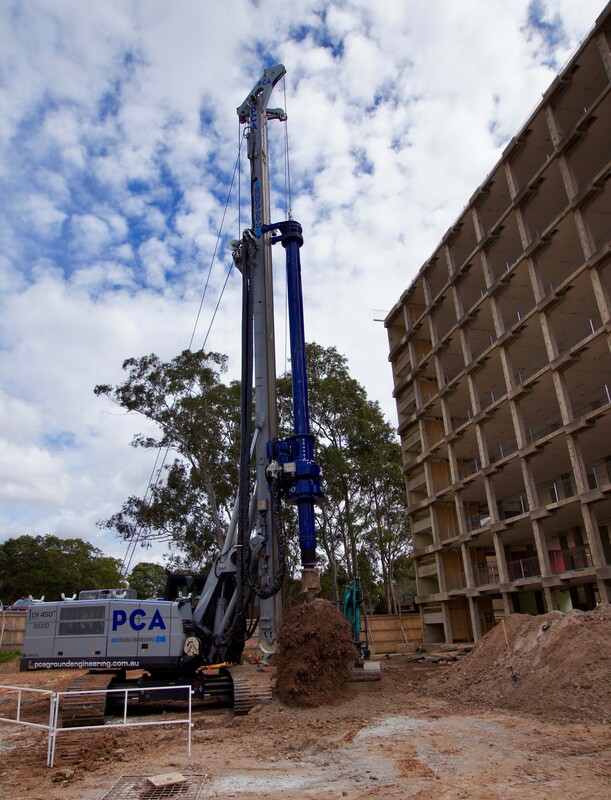 PCA Ground Engineering are proud to announce that at the 2018 Civil Contractors Federation National Earth Awards we were awarded the National Earth Award in the Project Value up to $2 Million Category. 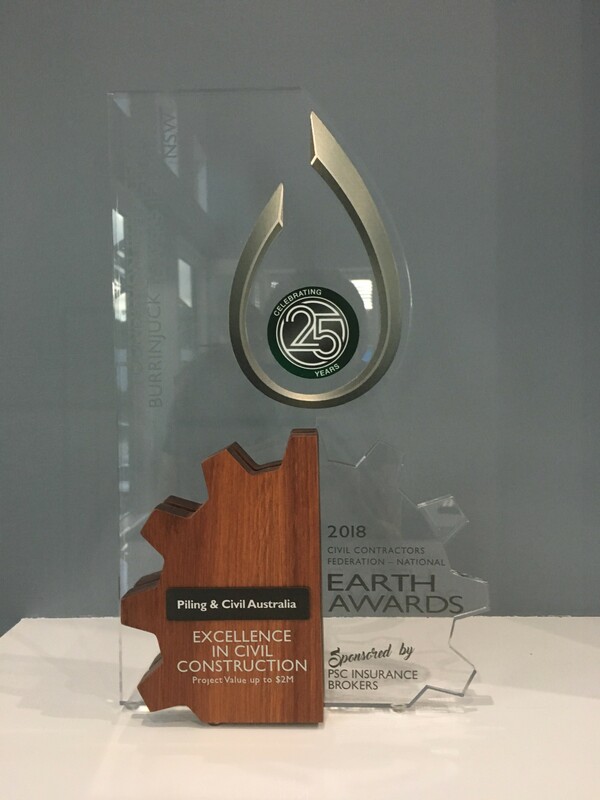 The CCF Earth Awards are the most prestigious awards in civil infrastructure which includes roads, bridges, railways, marine structures and utilities, and have the specific aim of recognizing excellence in civil construction. 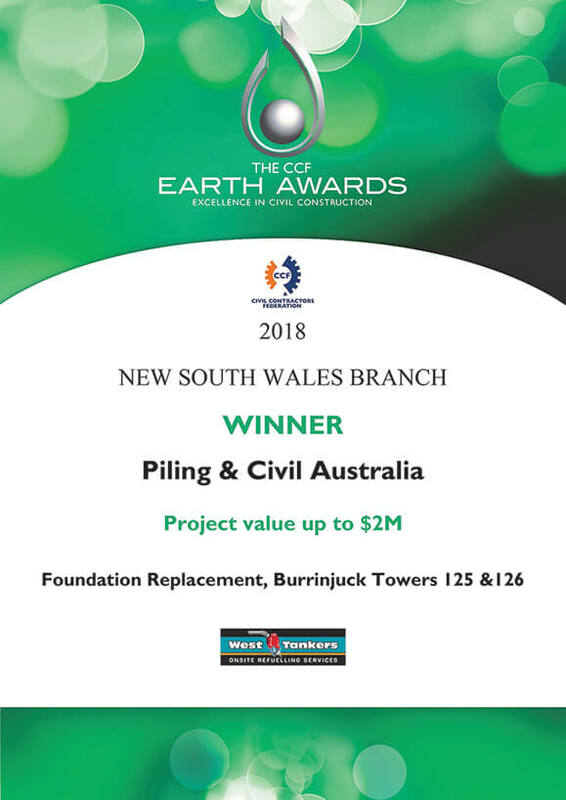 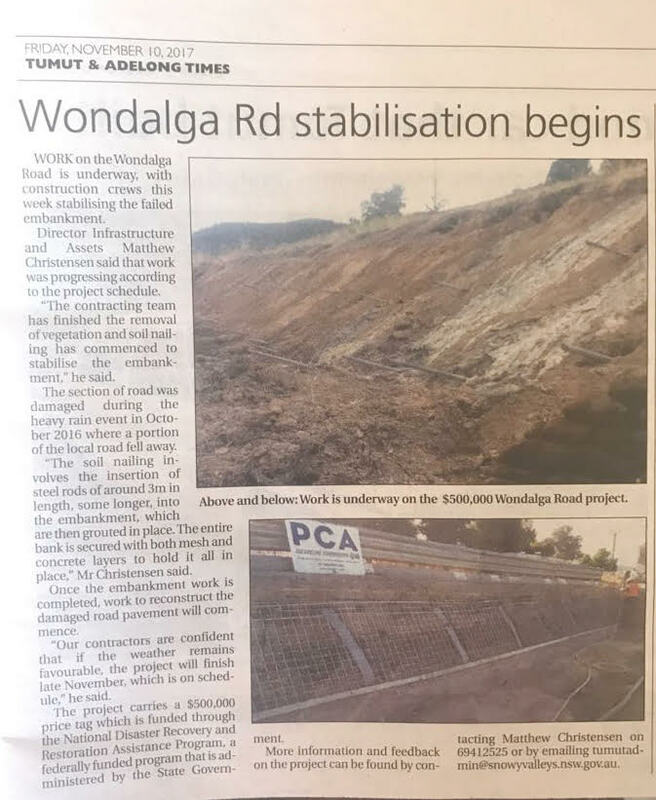 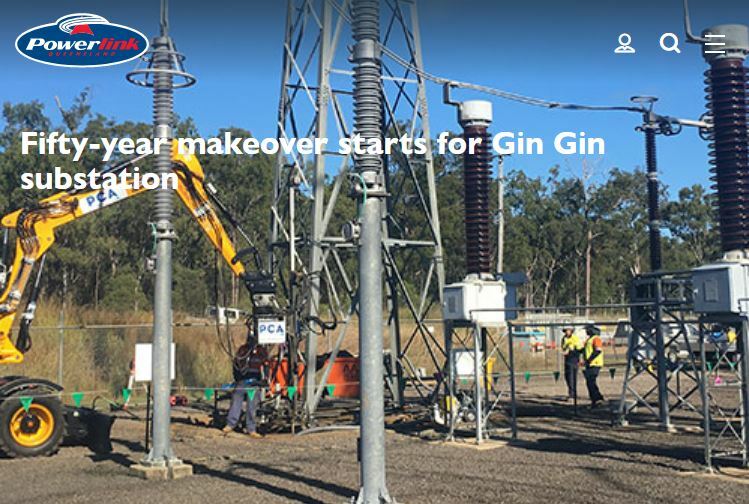 The award was given to PCA Ground Engineering for the Foundation Replacement works completed on Towers 125 & 126 at Burrinjuck Dam in 2017. 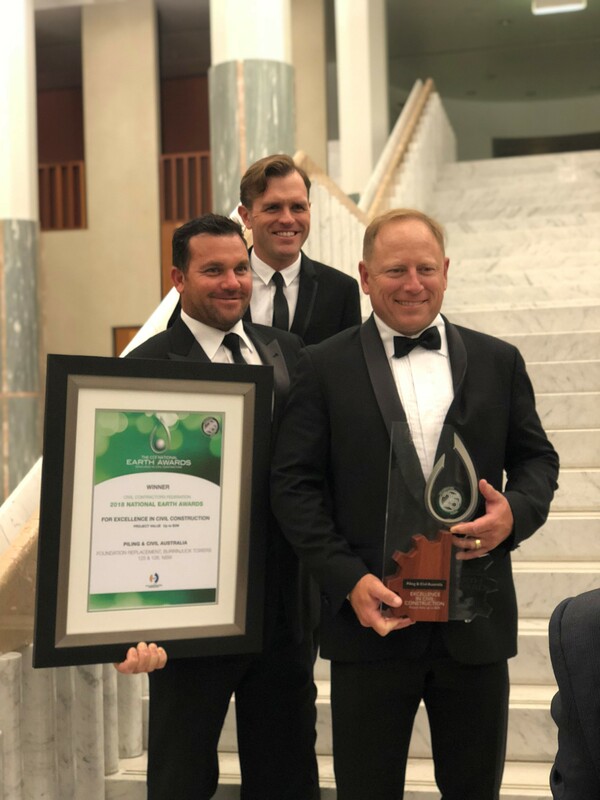 Attending the awards in the Great Hall of Parliament House were the finalists from 42 projects, Australia wide.